The 27th Annual Frostbite Regatta is coming in 2018! Sunday, November 4th, 2018 Don’t forget to pick up your Frostbite T-shirt! We do have limited amounts of shirts from previous years as well. 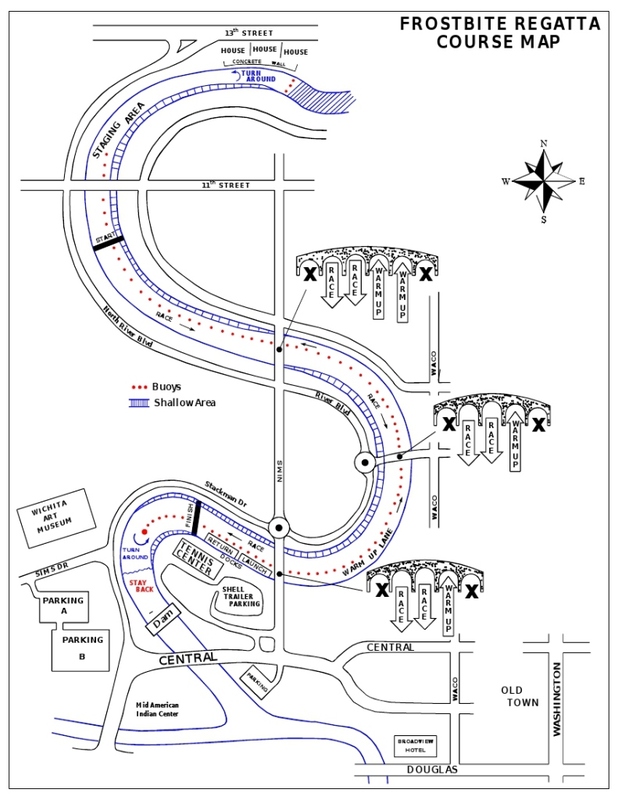 The course will be a 1.7 Mile distance head race, which can be followed in its entirety along the sidewalk (see regatta map below). You are welcome to bring your bicycle and follow the course through Riverside Park, if desired. The official course record of 7:07, by the University of Colorado Men’s Eight was set in 2007. Additional course records may be found here.